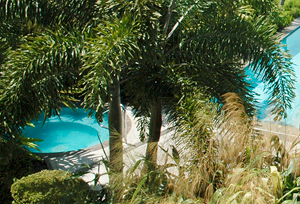 Our custom free form pool provides comfort and beauty in our secluded garden. 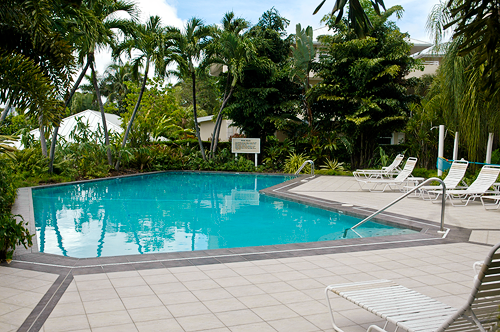 Close to the beach but protected from noise or traffic, our pool area provides an idyllic setting for cooling off and playing your favorite pool games. 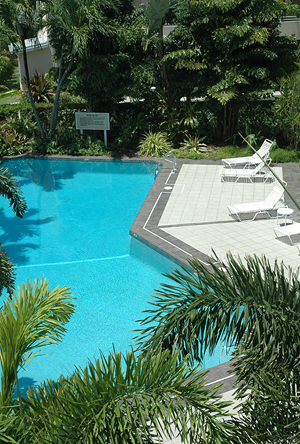 Not all Cayman Islands condominiums have fresh water swimming pools so be sure to check when making your reservations if a clean, quiet, pool large enough to play in is an important consideration for your Cayman Islands condominium selection.